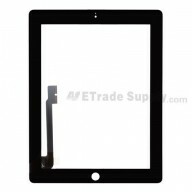 This item includes the LCD Screen, Digitizer Touch Screen, and Stylus Sensor Film already attached. 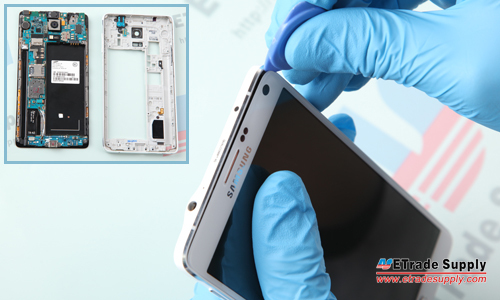 This Samsung Galaxy Note 4 LCD Screen and Digitizer Assembly is available in two colors: Black and White. 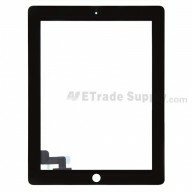 Please make sure you have chosen the right version before placing order. 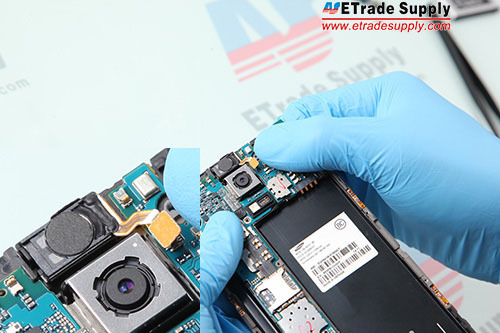 This part is tightly assembled with other parts, special tooling is required for assembly. 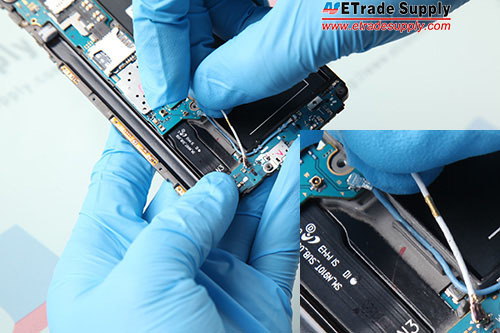 Insert the case opening tool to take out the rear housing. 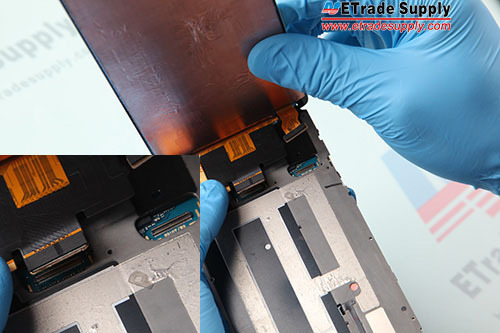 Notice: The loudspeaker assembly is located in the rear housing and difficult to remove. 4. 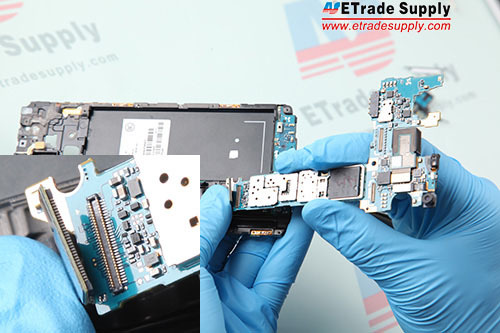 Remove the Galaxy Note 4 Motherboard. 5. 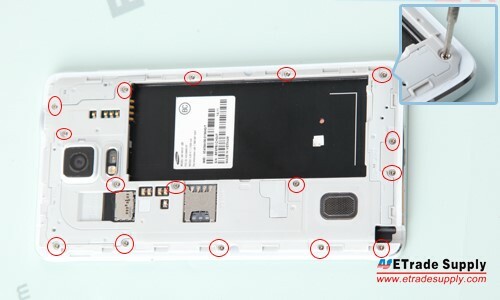 Remove the Galaxy Note 4 Small Parts. 6. 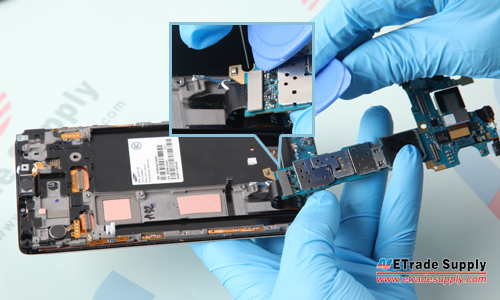 Remove the Galaxy Note 4 Charging Port Assembly. 7. 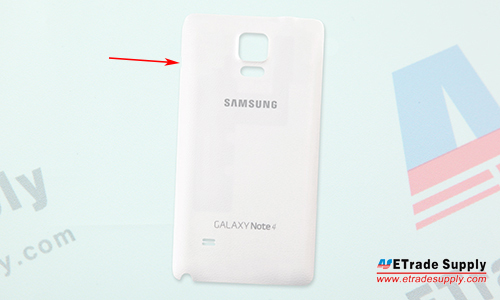 Remove the Galaxy Note 4 Middle Plate. 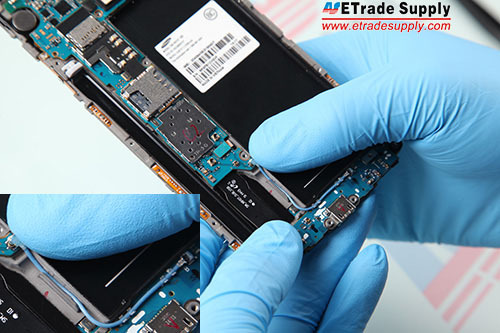 Notice: At this step, you have torn down the broken LCD screen and digitizer assembly, then you can replace a BRANＤ NEW Samsung Galaxy Note 4 LCD screen and digitizer assembly. 8. 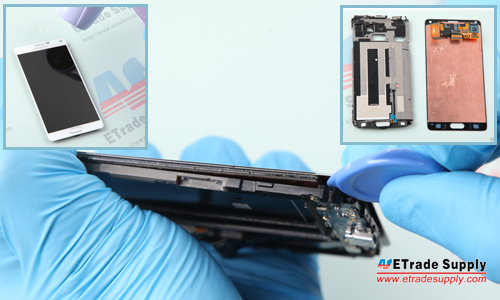 Adhere Samsung Galaxy Note 4 front housing adhesive to the middle plate, then connect the LCD screen flex cable and digitizer flex cable to the mother board. 9. 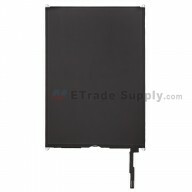 Insert the vibrating motor with power button flex in the slot. 10. Put the ear speaker with flex into the slot. 11. 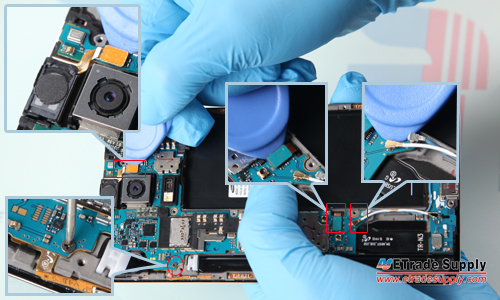 Put the mother board in the slot and connect the Galaxy Note 4 Charging Port Assembly to the mother board. 12. 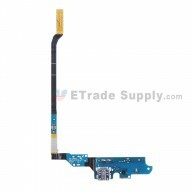 Connect the ear speaker with flex cable to mother board. 13. 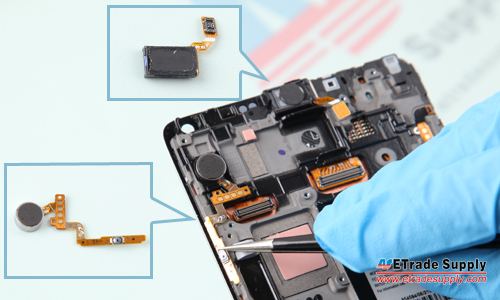 Connect the home button flex ribbon to the mother board. 14. 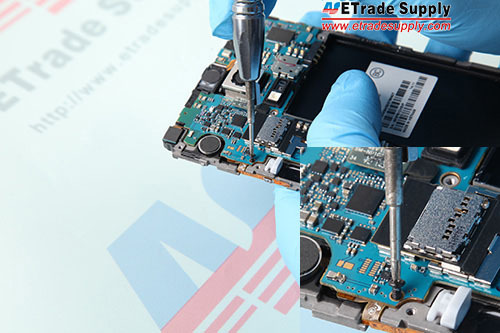 Connect 2 antennas to mother board. 15. 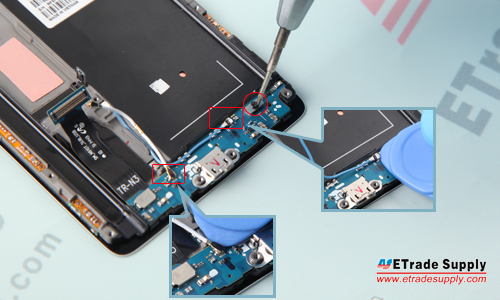 Fasten 1 screw in the charging port assembly. 16. 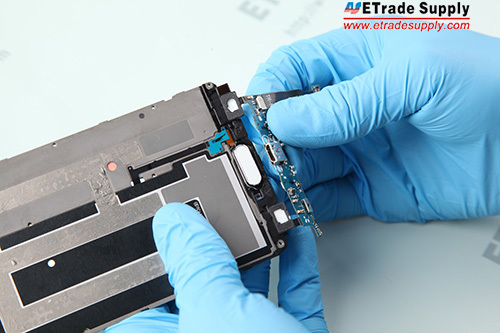 Fasten 1 screw in the mother board. 17. Cover the rear housing and fasten 16 screws in the rear housing. 18. 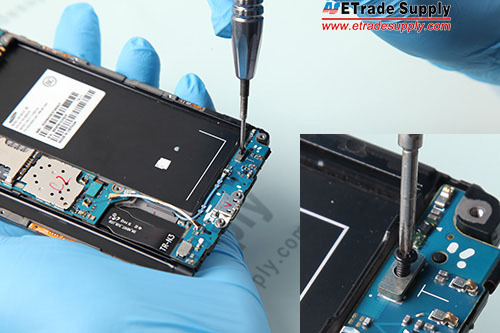 Put the battery in and insert the stylus to the rear housing. 19. 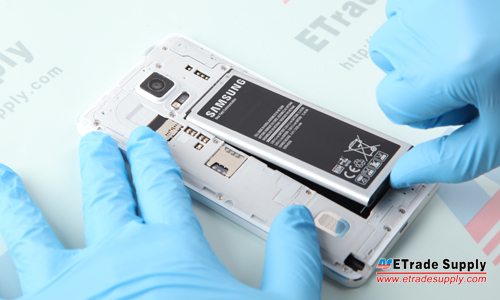 Cover the battery door, then you have replaced the Samsung Galaxy Note 4 LCD screen and digitizer assembly.